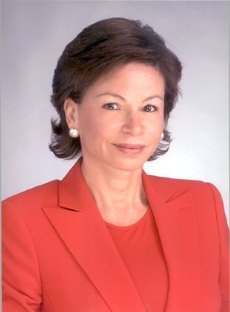 Valerie Bowman Jarrett is a Chicago lawyer, businesswoman, and civic leader. She is is a "senior adviser" to 2008 Democratic U.S. Presidential candidate Barack Obama. She is also Obama's connection to Shiraz, Iran. Jarrett is a member of African-American and Chicago royalty. But her story and her life begin in the Middle East, not the Midwest. She was born in 1956 in Shiraz, Iran, about 570 miles south of Tehran. Her parents moved to Shiraz, known for its poets, wine and flowers, as part of a program that sent American doctors and agricultural experts to developing countries to help jump-start their health and farming efforts. Her father was on the staff of the brand new Nemazee Hospital, where Jarrett was born. 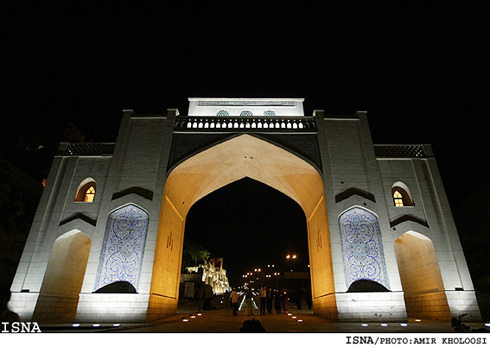 "Every memory from Iran is a very happy memory," Jarrett told me in an e-mail. Her family lived with Iranian and American doctors in a sheltered community surrounding the hospital. The weather was dry and sunny, the food fantastic. "It is where my lifelong love of rice and lamb began," she said. They stayed in Iran for six years. "I remember how welcoming everyone was to the many Americans who were there," Jarrett told me. "We were viewed by the Iranians as Americans-not black Americans-so I had no awareness of race until we returned to the United States." The family left Iran and spent a year in England, where Jarrett's father had a university fellowship to study genetics. In 1963, they returned to America, settling in Hyde Park, one of the few integrated neighborhoods in Chicago at the time.